1. Which one of the following options is true, and why? 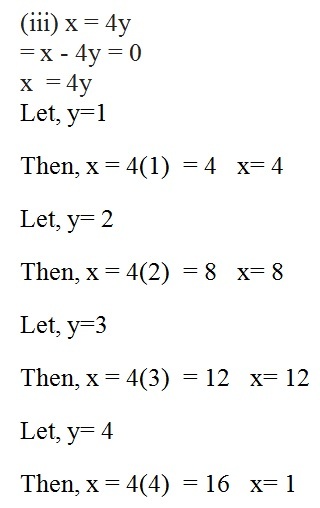 (iii) infinitely many solution, because we can put many value of x and can get many solution of y. 4. Find the value of k, if x = 2, y = 1 is a solution of the equation 2x + 3y = k.